The State of Maine supports an integrated approach to waste management. This includes programs to: reduce the amount and toxicity of waste generated, promote reuse and recycling of waste, and compost and process waste to create safe and useful products. Disposal through incineration and landfilling is the least preferred option. The DEP’s solid waste programs include: solid waste facilities management, sludge and residuals management, scrap tire management, electronic waste and mercury product management, and the non-hazardous waste transporter program. These programs offer education and technical assistance as well as performing regulatory activities including licensing, compliance and enforcement of the State’s Solid waste laws. Product Management Programs: E-Waste, Mercury Products - Carole Cifrino 485-8160; Lead, & Asbestos - Sandy Moody 287-7751. Map of Solid Waste Landfills - This map shows both closed and active landfills in Maine. Active landfills include municipal and regional landfills, as well as private and commercial landfills. 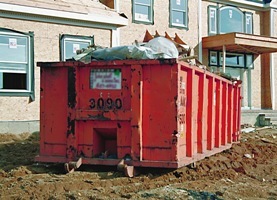 The type of wastes each landfill accepts is determined by its license, e.g., many landfills are licensed to accept only construction/demolition debris and wood waste. Transfer Station Operators Training Brochure (pdf format) - Please contact Sandy Moody, 207-287-7751 with any questions.